Please select package and any accessories. Even if a package is SOLD OUT, you can still come and register the day of the event - Everyone is welcome and no one will be turned away! Registration the day of the event will be an additional $10. Package names are for reference only. You do not need to choose the same package as your Jeep model. All flags, t-shirts and hoodies will NOT be shipped and will be give out the day of the event. The raffle tickets which are included with the pre-registrations are for the prizes. The JK raffle tickets must be purchased separately. 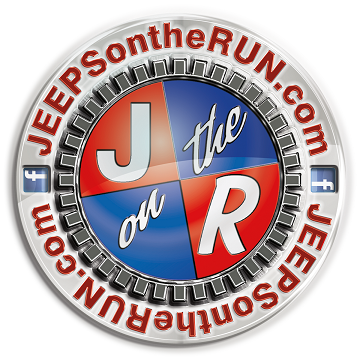 YOU MUST BE PRESENT TO WIN ANY RAFFLE PRIZE, INCLUDING THE JEEP JK. And Most Important... all money goes to Toys For Tots!!! Please make sure you complete the waiver and bring it with you to the event. If you would like additional shirts or hoodies select the "Spare Parts"
Must be purchased prior to the event. You do not need to purchase the same package as your Jeep model. Flags, t-shirts and hoodies will NOT be shipped and will be give out the day of the event. Please see the top of the page about the two different raffles we are having. * This package does NOT include a Jeep registration. Can't join, but would still like to donate? All funds go direct to toy purchases. *5 free raffle tickets are only available for pre-registrations. Raffle tickets will be available for purchase the day of the event. The raffle tickets which are included with some of the pre-registrations are for the prizes. The JK raffle tickets must be purchased separately.